What do you do when you can’t sleep? Insomnia and the internet led to this goofy twist on the planking fad. 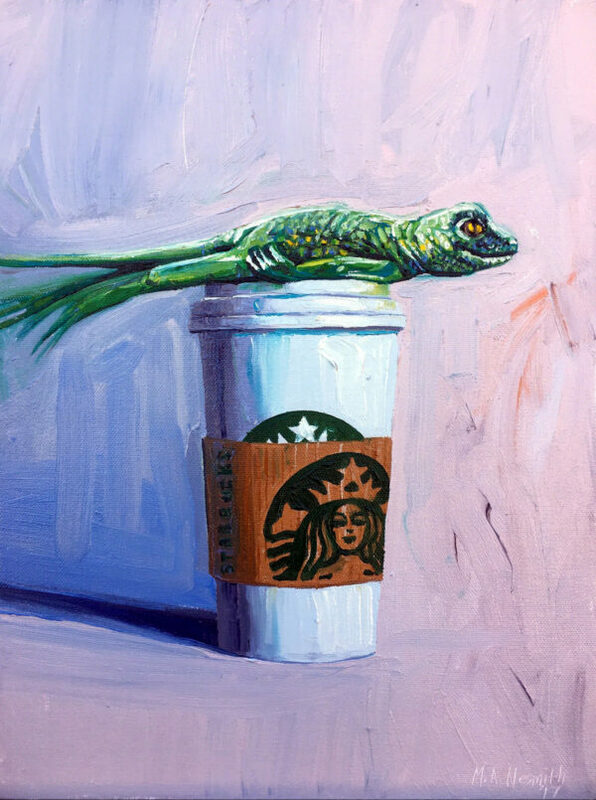 This little lizard is getting his morning cup of joe and his workout in at the same time. The extreme version of lying down, planking has led to people around the globe competing through photographs and videos to outdo each other. While seemingly harmless fun, the craze has included notable instances of people planking in dangerous situations leading to injuries and at least one death when a twenty year man in Australia fell while planking on the railing of his apartment balcony.